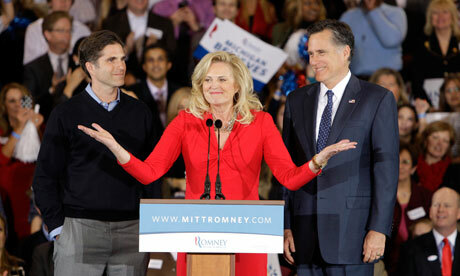 Ann Romney, a stay at home Mom, says she suffered. I can’t see how since she never had to wonder how she was going to feed her children, or get them medical attention when needed. Did her conscience prick her when Seamus took that ride on the car roof? Is that what she feels qualifies her for the ability to say she suffered? She’s not too forthcoming with an explanation, so I have no way of judging the depth of her suffering, however, I can tell you what life is like for other Mom’s who suffer. My step-mom was a stay at home Mom also with 5 boys. My father had a decent job as a lumber yard General Manager when the boys were younger. Of course, that was back when a days wages could feed a family. Still, there were sacrifices made to stretch those dollars. My step-mom canned vegetables grown in their own garden. She and the boys would scour the countryside for blackberries and blueberries and she would spend long hot hours in the kitchen making jellies and jams. Come fall they’d be out in local orchards picking apples so she could can her own applesauce. Then there was the year they decided to raise chickens to sell eggs for extra money. Unfortunately the feed got so expensive, they couldn’t afford to keep the chickens so they had to be butchered. Guess who had the pleasure of canning close to 100 chickens. They waited until the weather was cooler for that. Did you have to do any of these things to feed your family Ann? I think not. I read somewhere that you had the help of a Nanny. My step-mom had my help on weekends. And I was the only help she had. Did you suffer like that Ann? Today, we have the Mom’s that Ann’s Husband Mitt seems to feel should have the dignity of a job. Some of those dignified young women work for the same company that pays my wages. We make around $9 an hour. When Ann and Mitt were raising their boys, this was a very good salary, now it’s not so much. Our job requires driving to a different case every 2 hours. Last time I looked, gas was $4.13 a gallon here. Although the company we work for offers healthcare insurance, the cost is $145.87 a week for just 1 person. They pay NO part of that and if one needs to add coverage for their children, it costs more. Fortunately those Mom’s employed by the company get around it by limiting the number of hours of dignity they can stand. This allows them to provide healthcare for their kids through Medicaid, and in some cases it qualifies them for HEAP so they can keep the little ones warm in cold winters. Also available to them are foodstamps. Which they lose if they go over a certain amount of money in a month. Tell you what there Ann, you walk out of your ivory tower and actually spend your time with these women and then I’ll allow you to say you’re suffering. After all, I’m sure these women would be considered by you to be your social inferiors and having to spend time with them must be a horrible event in your eyes. Added by Butterose on April 15, 2012. I have a client with MS. She lives on $800 a month plus $97 in food stamps. Ann’s candidate husband wants to do away with HUD, which is how my client pays her rent. She is subsidized so she only has to pay 1/3 of her income for housing. I wish the Conservatives who are all for these types of cuts would actually stop and see the people whose lives will be affected by all of this. It’s women who couldn’t make enough to put something aside for retirement since we can’t seem to understand why women need to be paid equally to a man. It’s uneducated people who can’t read or write as well as they need to in order to get good paying jobs. People think Social Security is a big deal. It’s subsistence level income. In some cases it’s so low that SSI supplemental income is necessary to bring them up to standards. And it’s every one of those challenged individuals who were set free from state institutions to fend for themselves. They live on as little as $600 a month plus other programs. What we’ve done in the name of the Republican Contract With America is sickening. A little Google caught me up with American politics and Ann Romney, 😀 Name was familiar but couldn’t quite place her. From the bio I read she was raised with a silver spoon in her mouth, went to Brigham Young University, and the University of Grenoble. And raised her kids at home in relative luxury. For all intents and purposes she was living the American Dream until she was diagnosed with MS in 1998. A very long shot from awarding her Mother of the Year for all those *cough* sacrifices. Obviously she’s has no concept of what real sacrifices Moms and Dads make for their kids who have to live day-by-day and scrape and budget every dime they make.